We’re going to visit to Kimchi World this Friday! 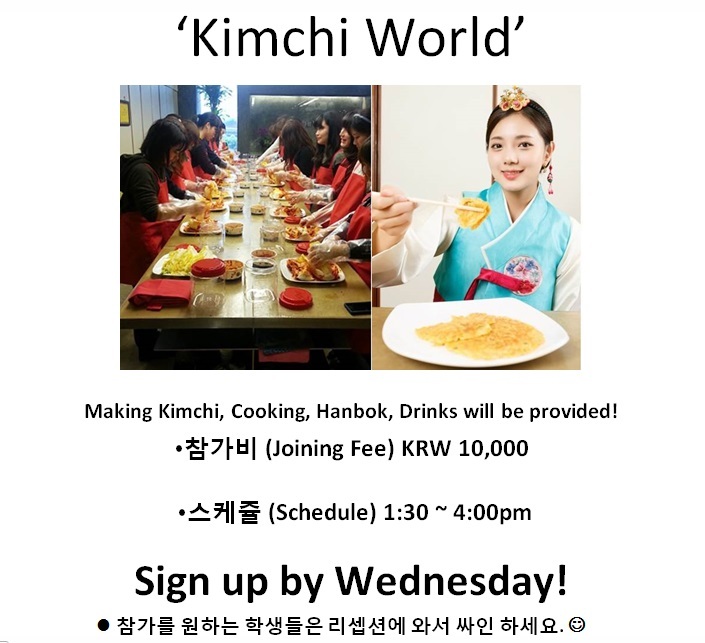 We will also try on Hanboks….. Korean traditional drinks will be provided,too! Now is the Chusok holiday in Korea so we have had many events planned just like this one.